Posted Breed: Plott Hound / Boxer / Mixed (medium coat). Adoption Fee: $300. Riley is a sweet and gentle, wiggly 7 year old hound, boxer mix who loves to run and sunbathe in the warmer months. She is about 50 lbs and can really eat despite her slender look! Riley is super soft, especially her ears and has a beautiful brindle coat. Beware of her tail - it&#39;s pretty fierce when she&#39;s excited! She loves treats, peanut butter filled Kongs, Nyla bones, obeying commands, nice walks, activities outdoors. She is great in the car too so take her along with you on your adventures! Riley is pretty chill and quiet but a good protector with her bark when strangers comes around. 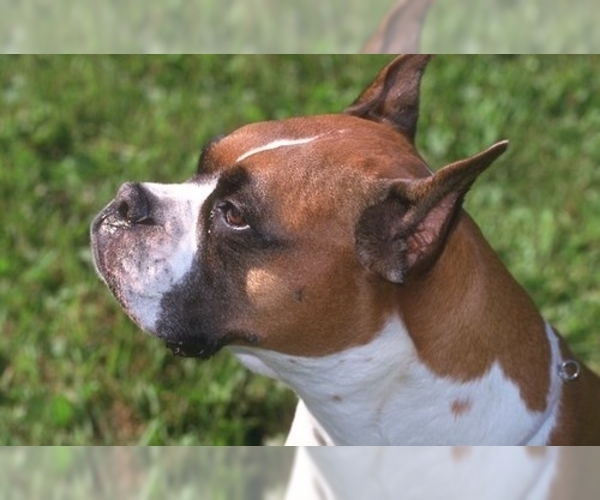 Riley can be an anxious dog with sudden sounds, strangers, and when children approach her. She needs someone to reassure it&#39;s ok and she is safe. Because of this she would be better in a house without young children. She is housebroken, a quick rule follower and is fine to be home alone for stretches of time. She has been so loved and such a joy to her current family but has had a hard time with the youngsters in the family. Her current family is heart broken to let her go but hope to find her an active family, without children, who has time to love and have fun with Riley. Please email us at AlmostHome4Dogsyahoo to find out if Riley is the right one for you! (Local adoptions preferred &mdash; Philadelphia and tri-state area [South Jersey and northern Delaware] only.) PLEASE READ BEFORE CONTACTING US! We are NOT a shelter: All of our dogs live in private homes with foster families. Come and meet the Almost Home dogs and their fosters at our Meet &amp; Greet events, where you can learn more about our wonderful dogs from the people who live with them, find out which dogs are on their way and when they&rsquo;ll arrive, and fill out an application to adopt or foster. We cannot adopt to homes where electric-shock fencing systems or training collars are used. For more information on the dangers of electric-shock collars, please visit banshockcollars.ca/studies.php and .hollysden/say_no_to_shock.htm (scroll down and click on the &quot;Invisible Fencing Systems&quot; link). We do not have an online adoption application; to request an application, e-mail us at AlmostHome4Dogsyahoo. To speed e-mail processing time, be sure to note the name of the dog you are inquiring about in the Subject line. For Meet &amp; Greet times and locations, visit our home page, where you also will find information on our adoption process and fees. FOSTER FAMILIES ARE LIFESAVERS!! Can you open your heart and home for a few weeks to homeless shelter dog? Remember, by fostering a dog, you save TWO lives &mdash; that of your foster dog, and that of the dog who takes his place in the shelter! Come to a Meet &amp; Greet and find out if fostering is for you &mdash; there&#39;s no reward quite like the feeling that you&#39;ve saved a life ... or two! 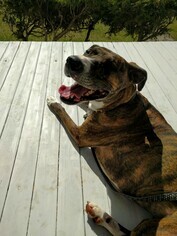 Posted Breed: Boxer / Plott Hound / Mixed (short coat). Posted Breed: Plott Hound / Boxer / Mixed (medium coat). Posted Breed: Plott Hound / Boxer / Mixed (short coat). Adoption Fee: 300. Posted Breed: Plott Hound / Boxer / Mixed (short coat). Adoption Fee: 400. 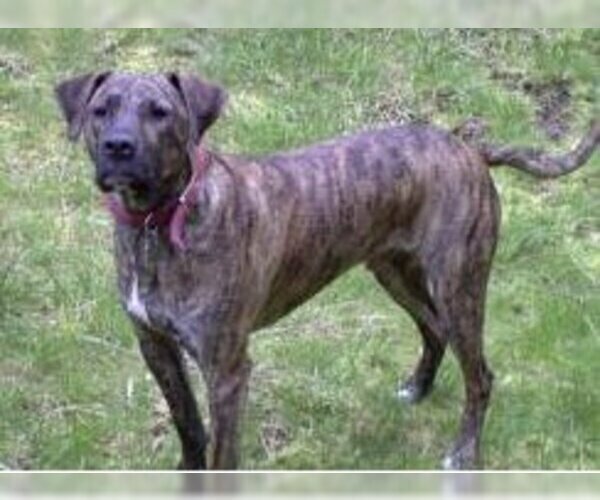 Posted Breed: Plott Hound / Boxer / Mixed (short coat). Posted Breed: Boxer / Plott Hound / Mixed (medium coat). Posted Breed: Plott Hound / Boxer / Mixed (short coat). Adoption Fee: 225.00.